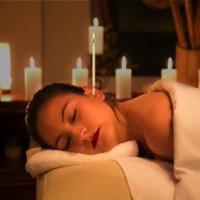 The practice of ear candling is an ancient art used primarily for ear wax removal, helping to unblock ears and difficulties in hearing due to ear wax build up. The treatment is far more comfortable than conventional ear cleaning where water is forced into the ear. Other benefits include relief from sinus pain (sinusitis) and ear ache. This is a natural therapy in which smooth warmed stones are positioned on key areas of your body allowing your muscles to relax and blood vessels to open up, thereby aiding circulation. This therapy is combined with aromatic oils and chakra balancing promoting deep relaxation and a sense of wellbeing. Indian Head Massage relieves tension in the neck and shoulders helping to increase overall mobility and flexibility in this region. It improves blood circulation, lymphatic flow and aids elimination of toxins. It can help reduce headache-causing blockages incluidng migraines and encourages better circulation of the cerebral fluid. You'll be left with a deep sense of wellbeing and relaxation. Reiki is a form of subtle energy work. The flow of energy is channeled from a limitless source by the therapist and is transmitted to the patient. The treatment increases and balances your essential life-force energy. It is an extremely powerful, yet gentle energy. It promotes relaxation, makes you feel at peace, reduces stress, and can help you heal. Commonly called "tapping”, Emotional Freedom Technique is an acupressure and affirmation technique that works to calm your energy channels and promote healing in the body leaving you feeling very balanced and calm. It does this by clearing whatever negativity you have been holding onto and expels these emotions or physical problems from your mind and body. EFT can help with anxiety, phobias, mental blockages, cravings, past traumas, and set you up for positivity and success. Reflexology is an ancient Chinese technique that uses pressure-point massage (usually on the feet, but also on the hands and ears) to restore the flow of energy throughout the entire body. The science of Reflexology has been around for thousands of years.